For Geocachers: there is cache around here. There is no specific hint. On the 25th January 1836 the City Council decided to demolish the four city doors and substitute them with toll houses. At that point in time, the city was turning some of its military constructions into buildings that could play a commercial and economical role in a phase of great urban expansion. The location that was picked was the western access to the city, an area around which most of the 19th-century renovations were carried out. The project was designed by Novara-born engineer Antonio Antonelli, who tried to solve the problem of connecting the old city centre to the developing suburbs. Two one-storey, square-plan twin buildings were built, and each of them had a specific purpose: the Northern one hosted the guards, while the other one was used to collect tolls. Both were built flanking the street that carriages used to cross the city centre. The place was inaugurated in 1837 and it was dedicated to Charles Albert of Sardinia to show gratitude towards a king, who was responsible for the promotion of agriculture and commerce, and who also supported the local economy, thus giving the city a newfound prosperity. It was given the name “Barriera Albertina” (Albert’s Barrier). The two buildings are simple, essential, well-balanced in proportions ad absolutely in tune with the Neoclassical taste. 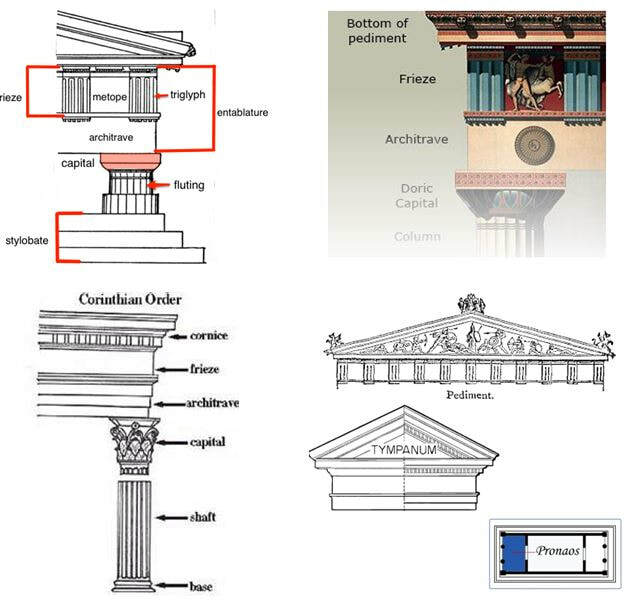 QUESTION 1 - This is a drawing of a classical temple, compare it with the Barriera Albertina’s buildings and mark which elements they have in common. Stoa A covered walkway or portico, commonly for public use. Sculptor Giuseppe Argenti embellished the two buildings with allegorical sculptures. In each tympanum you can see female statues, on one building they represent Novara’s coat of arms and the other the royal family, thus reinforcing the bond between the king and the city. ​QUESTION 3 - On which building can you see Novara’s coat of Arms? On the façade of the buildings there are niches hosting statues that are the personifications of virtues such as Royal Charity, and Vigilance, plus Agriculture and Commerce. Agriculture is depicted as Psyche, and she is leaning on a plough. Commerce is symbolized by a young version of Mercury; the god is shown with curly hair, a winged hat and a bag. The bag is half hidden, since in business you must be discreet. The griffon next to him holds some coupon bonds to underline the importance of public debt in business and commerce. 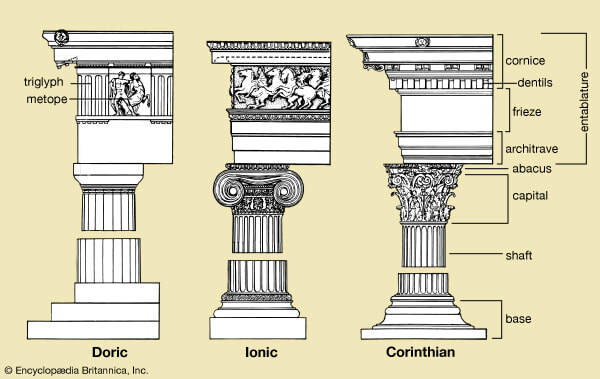 In the XIX there were other two statues placed on two pillars: Gratitude and Concordance. These statues were later removed and can now be found at the entrance of the city cemetery (Concordance is sitting and holding a torch and a pomegranate branch; Vigilance, also sitting, has an oil lamp on her lap and next to her chair sits a rooster). Do not forget to look for the cache! You can then move on to the next step. From the Barriera Albertina head North along the alley called Baluardo Quintino Sella. This alley was built on top of the Spanish walls and somewhere you can still see some parts of them.